North Korean leader Kim Jong Un made his first public appearance in more than 40 days, according to state media. KCNA said Kim inspected a newly built housing complex. His absence from public view had fueled speculation over his health and power. 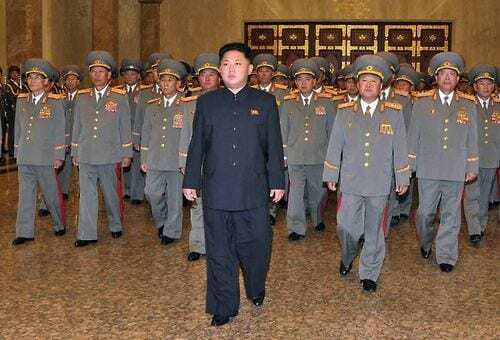 File photo: This picture taken by KCNA on Oct. 10, 2013, shows North Korean leader Kim Jong Un, accompanied by senior army officials, visiting the Kumsusan Palace in Pyongyang. This entry was posted on October 14th 2014 at 7:48am/07:48 and is filed under Live News Column 1, Politics, World News. You can follow any responses to this entry through the RSS 2.0 feed.